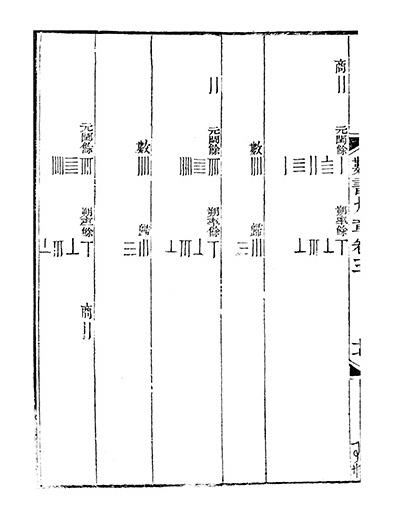 Lam Lay-Yong, A Chinese Genesis Rewriting the history of our numeral system, Archive for History of Exact Science,1988, Vol.38, pp.101-108. Lam Lay-Yong, Ang Tian Se, Fleeting footsteps (revised edition), World Scientific Publishing Co. Pte. Ltd, 2004. Li Yan, Du Shiran (authors); John N.Crossley, Anthony W.-C. Lun (translators), Chinese mathematics: A Concise History, Oxford University Press, 1987. Needham, Joseph, Wang Ling, Science and Civilisation in China, Vol.3, Mathematics and the Sciences of the Heaven and the Earth, Cambridge University Press, 1959, pp.146-150.